Striking hand made Glass Windlight in beautiful purple marble effect. 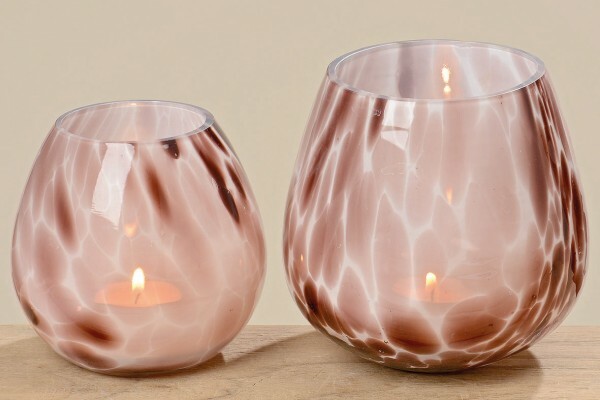 This pretty windlight only needs a t light placed inside and the full beauty of the colour and pattern combind will make a focal point on your coffee table. A chic gift for a friend, if you can bare to part !